Fukuoka is among the "treasure cities" of Japan. It is one of the oldest places in the land of the rising sun. At the same time, this is one of the "youngest" cities in Japan. The average age of the population is 38 years. Fukuoka is situated on the north coast of the island of Kyūshū. To the north it borders the Sea of Genkai. 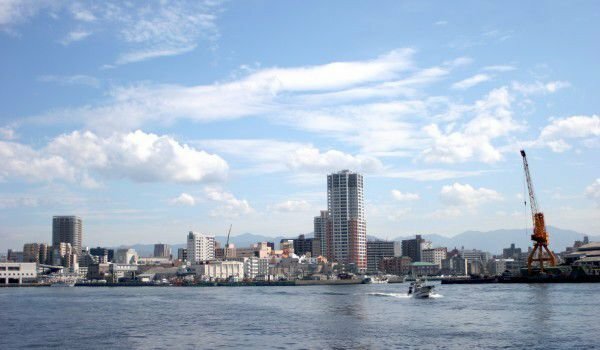 Contemporary Fukuoka is the result of the merger of two towns in 1889, when the port city Hakata is combined with Fukuoka castle. Today the area of Hakata has one of the most important neighbourhoods in the city. The local railway station is also called Hakata. In place of the old samurai village of Fukuoka today is a great shopping area called The Tenjin area. An interesting detail is that a majority of votes held the ideal for the newly formed city to be called Hakata. The word of the samurai community, who were advocates of the name Fukuoka, proved crucial. The proximity of the Japanese city to China and Korea is crucial to the culture of the locals. Overall, Fukuoka is open to creating and maintaining a relationship with other cities and countries beyond the Japanese community. Proof of this is the Asian Cross Roads Over the Sea, whose main purpose is to maintain cooperation with other Asian countries. Across the park is one of the major sights of Fukuoka. Located in Tenjin is a huge park with landscaped gardens and a library. Fukuoka is one of the ten most populated cities in Japan. The population is over 1 million and 400 thousand people. There is also one of the largest Ferris wheel in the world – the Sky Dream of Fukuoka. The facility rises to 120 meters. A spin in the comfortable cabins, lasts about 20 minutes, during which you can enjoy the stunning cityscape. If the dizzying heights bother you, you can board some of the smaller wheels located nearby. Tickets cost from 600 to 800 yen. Another emblem of the city is Fukuoka Castle, built in the early 16th century by the ruler-warrior Nagamasa Kuroda. For many years, the Japanese palace is renowned as the largest on the island of Kyushu. Kuroda had ruled these lands more than 270 years ago. Today the castle, located in Ohori Park’s, only authentic part are the stone walls, as much of the complex burned. If you are a true fan of Japanese culture and want to know interesting details about its history, you can visit the National Museum of Kyushu. It was erected in 2005 and is considered the first modern national museum in Japan. As you might guess, the museum is technologically equipped through modern means and presents the history of the country. The entrance is between 130 and 420 yen. It is open every day except Monday. If you want to fully enjoy the sea and its beautiful landscapes, you can visit the Marine Park Uminonakamichi, located in the northern Gulf of Hakata. Fukuoka has typical commercial open spaces where at some of the stalls you can try to buy some local products and some very specific foods. Yatai are extremely popular among tourists. More adventurous tourists can try mentayko, Hakata shoulders and the motsunabe dish. In Fukuoka, there are 150 such yatai. Besides food, at the stalls can be purchased local spirits. The highest building in the Japanese city is Fukuoka Tower is located in the area Momochihama. It is 234 meters high and is the tallest building, located by the Sea here. If you have not yet decided when to plan your trip to Fukuoka, note that the first two weeks of July each year, is held one of the most attractive festivals in Japan, called Yamakasa. The holiday has nearly seven centuries of tradition. The event is a street procession, which represent different areas of the metropolis.